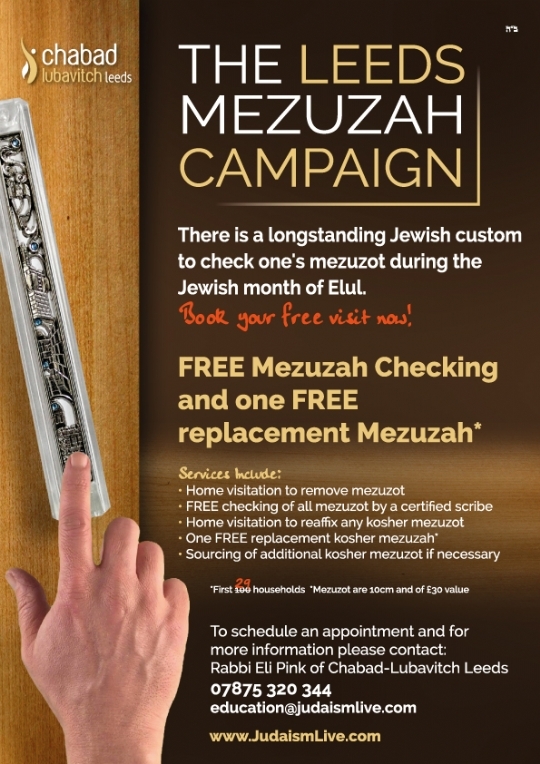 There is a longstanding Jewish custom to check one's mezuzot during the Jewish month of Elul. Committed to ensuring that every Jewish home in our community has Kosher and properly affixed Mezuzot, a portent for long life and protection. 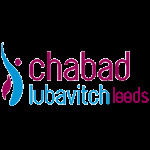 The global mezuzah campaign was started in the summer of 1974, by the Lubavitcher Rebbe.At the time, the Rebbe quoted Torah verses and rabbinic teachings explaining how the mezuzah protects the inhabitants of the home, as well as the Jewish nation as a whole, specifically those living in Israel. We feel it is an appropriate time to rerun this campaign in Leeds. We also have an entire section on Mezuzot on our website here with information, guides and videos.